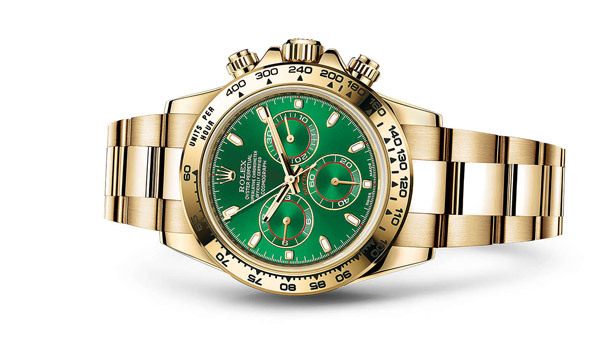 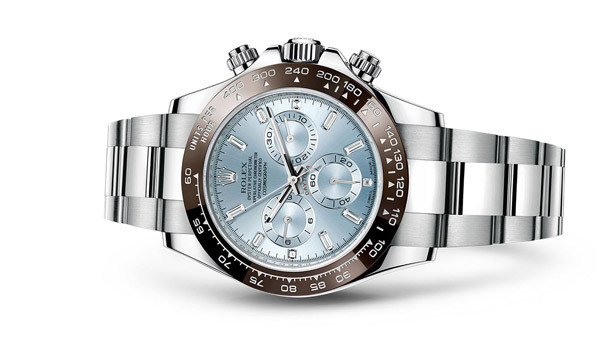 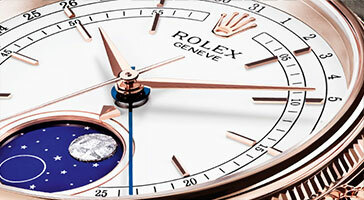 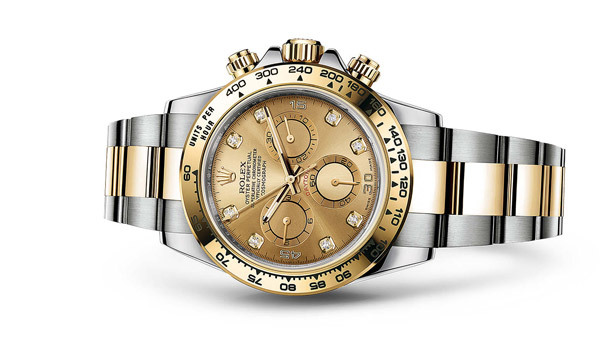 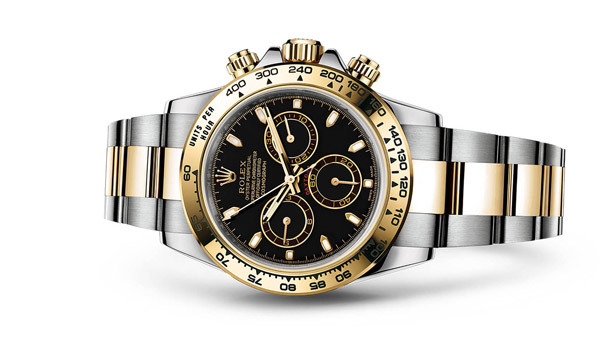 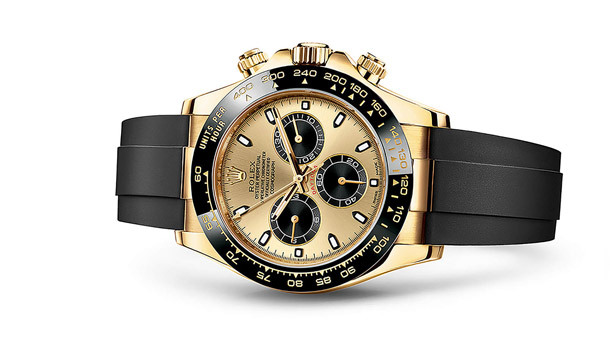 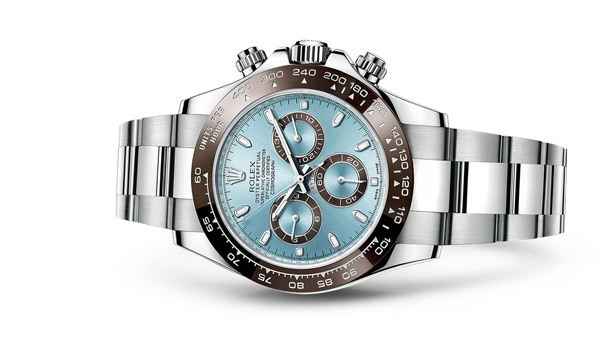 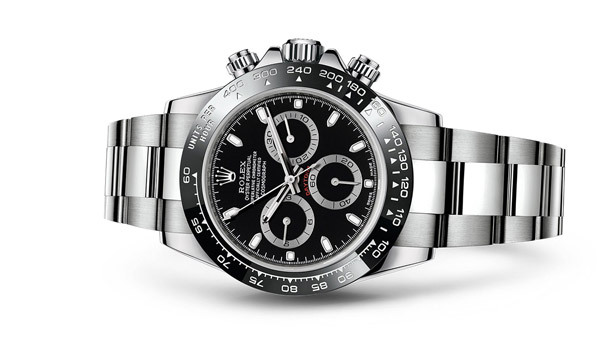 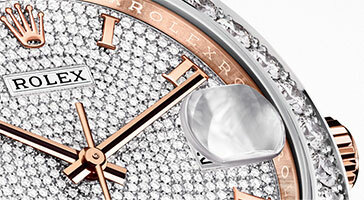 The Rolex Cosmograph Daytona, introduced in 1963, was designed to meet the demands of professional racing drivers. 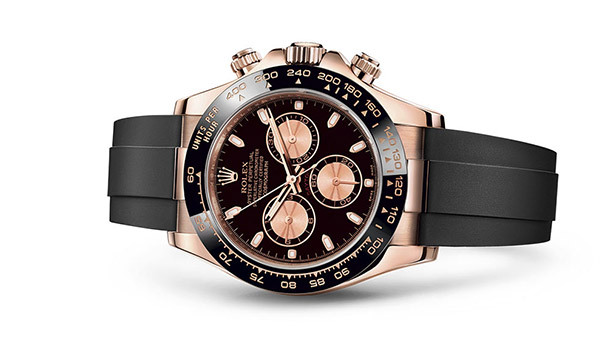 With its highly reliable chronograph and bezel with tachymetric scale, it allows drivers to measure average speeds up to 400 kilometres or miles per hour. 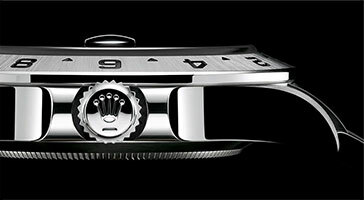 An icon eternally joined in name and function to the high-performance world of motor sport. 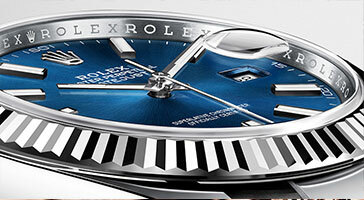 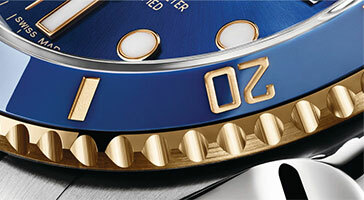 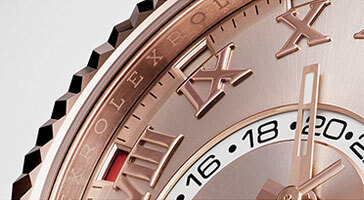 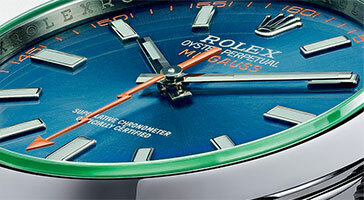 Efficient, precise, legible, robust, reliable, waterproof and self-winding, it is also comfortable, elegant and timeless. 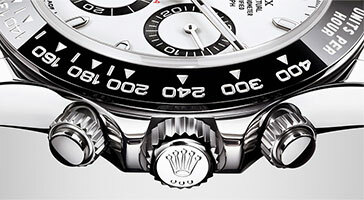 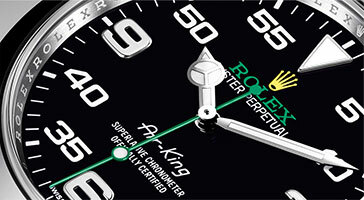 Judging by the success and outstanding reputation worldwide of this perfect alchemy of form and function, it is considered in many respects to be the ultimate chronograph. 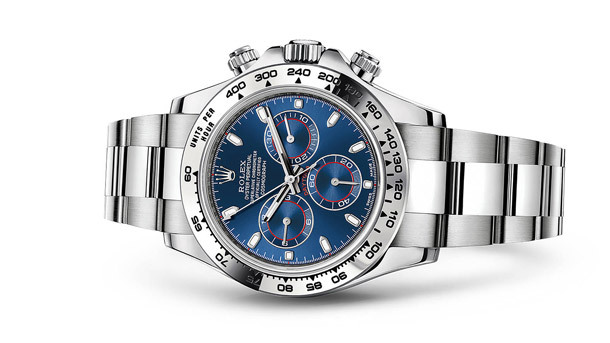 The Daytona's chronograph functions are activated by pushers that screw down like the winding crown when they are not in use, guaranteeing waterproofness to 100 metres. 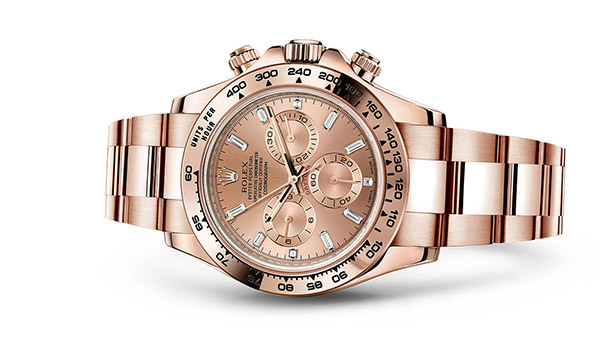 One press to start, stop or reset the chronograph produces a crisp, clear click that was perfected using the most advanced technology. 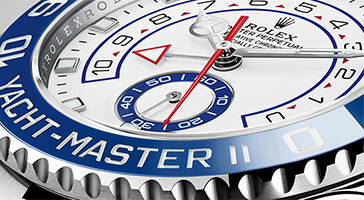 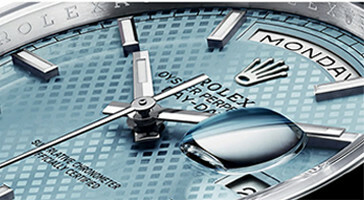 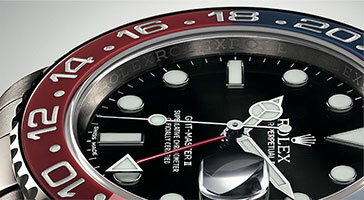 Rolex watchmakers also perfected the mechanism to suit the ideal finger pressure on the pushers, and engineered it to provide an instantaneous and accurate start to the timing without sacrificing reliability. 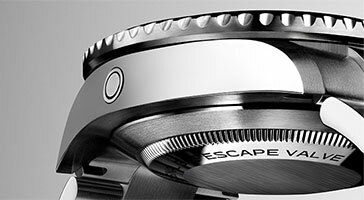 Calibre 4130's performance stems particularly from the use of a vertical - instead of lateral - clutch to activate the chronograph. 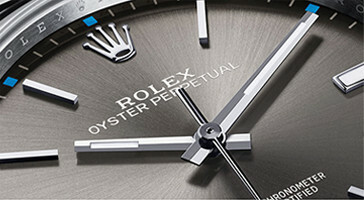 This solution functions on the principle of two discs, one above the other, which work together by direct friction contact and offer significant advantages - extremely precise starting and stopping of the perfectly smooth running chronograph seconds hand as soon as the pusher is pressed; and the capacity of the chronograph to function for long periods of time with no negative impact on the precision of the watch.